When it comes to ASUS, buying a full-size Android tablet has usually meant venturing past the $300 mark; even the Transformer Book T100 set you back $349 when it first came out, and that was considered a steal. That's no longer a problem in 2014. ASUS' new Transformer Pad TF103C costs $299 with the company's signature keyboard dock included, or as much as some smaller mid-range slates. While that's potentially a hefty bargain, it begs a few questions: Just what are you giving up to get that price? And is it worth the trade-off when you could likely snag a smaller, but more powerful tablet for less? As I've learned, you're making quite a few sacrifices in the name of a better deal. This is still quality hardware, but you have to know what you're in for. 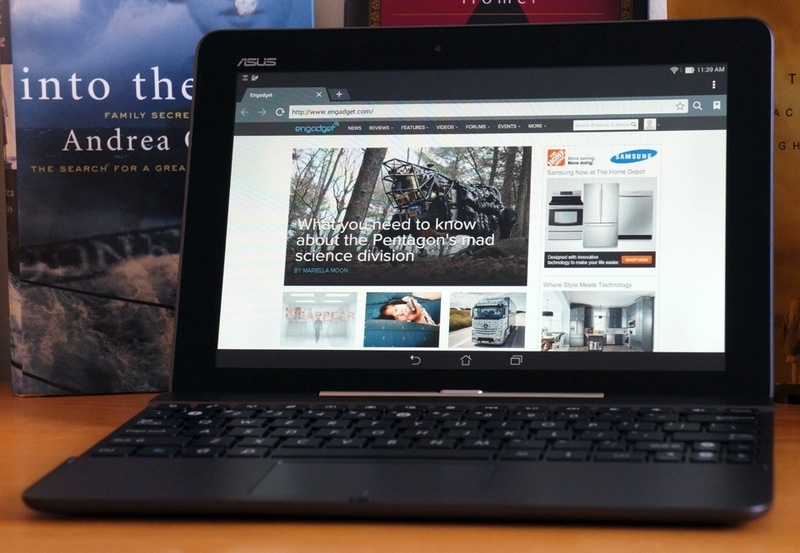 Summary ASUS' entry-level Transformer Pad sacrifices quite a bit in the name of price, but you still get a speedy, well-designed Android tablet that can serve as a basic laptop in a pinch.